Earth day, which is happening this month on April 22nd is a day action to raise awareness about protecting the environment. Earth Day 2018 was about ending plastic pollution. This year, Earth Day 2019 is about protecting the worlds threatened and endangered species. Normally, about 1-5 species go extinct each year. Now it is estimated that species are going extinct at least 1000 times this rate, with multiple species going extinct daily. 1 in 8 Bird species are threatened with extinction, and many of the big cat species will go extinct in the next decade. One of the biggest challenges with the environment is educating people about the many species that are threatened or endangered and this will be the theme of this Kids Coding club this month. The event is free and being held at Bitmaker at 220 King Street West on the 2nd Floor, starting from 10:00 am to 12:30 pm. To attend, please register at . This event will have a Drop-in Lab, and the workshop will focus on learning HTML and CSS. The workshop will be lead by Mentor Caitlin. In celebration of Earth Day, we will be building web pages to spread the word about endangered species. We will be building web pages using HTML and styling them with some CSS. You can preview the project here. The websites will be built using Trinket. Trinket.io is a website that allows you to build websites (as well as run Python). Everybody will be encouraged to be as creative as possible with their web pages and styling. There will also be plenty of examples that you can work from to make something that looks really amazing! The countdown is on! In 7 days we will be having a special CoderDojo Toronto Learn to Code event on March 10th in celebration of International Women’s Day 2019. The theme for this year’s International Women’s Day is “Balance for Better” to work towards building a better gender balance in the world. This is a special CoderDojo Toronto event in March that is running in addition to the regular CoderDojo Toronto events that normally run on the 3rd Sunday of the month. Women have made significant contributions to technology which often go uncelebrated. Ada Lovelace, generally considered to be the first computer programmer during the 1840’s when the very first mechanical computers were being conceived. Or Hedy Lamarr, an Austrian/American movie star and inventor who developed frequency hopping radio transmissions, a technology still used today. More recent contributions by people like Dr. Lisa Su, an electrical engineer known for her work on Semi-conductor design, the building blocks of CPUs, who is the CEO and President of Advanced Micro Devices (AMD) a large CPU, Graphics and Semiconductor company. These are just a few more well know contributions from individual women. There were many women who contributed just as much without anywhere near the recognition. For instance the women who made up the majority of the codebreakers at Bletchley Park trying to crack the Enigma code during WWII. Or the women who made up the human computers and programmers at NASA during the space race. This special CoderDojo TO event will focus on the contributions of women to technology through creating a game, story, or webpage about a woman who inspires you. At this event there are 3 technologies that will be focused on to build games and stories. Scratch, Twine, and HTML/CSS. 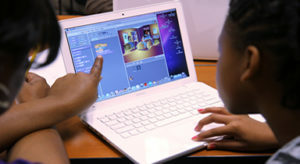 In the main area, we will be working on Scratch to build a story or game with material about a woman that inspires you. There will be lots of ideas on what you can make and resources to get started. Mentors will be in the room to help out. Scratch is a great tool to get your feet wet in coding as it allows you to very easily create interactive stories games, and animations with all the code built with drag and drop blocks. There will be a special workshop run by CoderDojo TO mentor, Karen, doing storytelling with two main topics: women in STEM and women role models. 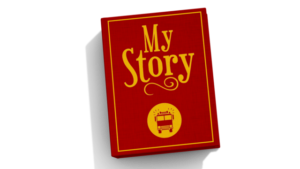 Twine will be used to create interactive storytelling games. Twine is a great start to any coder’s journey into programming, as it teaches event-based logic and conditionals. Typing is required, but don’t worry, as we will pair learners up with mentors to help facilitate typing and idea generation for the stories. Everybody will be encouraged to be as creative as possible in building their stories, whether they’re about a woman super hero, women they respect and admire, or about themselves make record-breaking achievements in the future! Guardians are welcome to participate as well. There are many ways you can go about building a web page, but a great resource to use is Mozilla Thimble. Which allows you to build and publish your webpage. See you there and don’t forget to wear something purple! It was an awesome month at the dojo this March with some exciting new faces and excellent returning learners. We covered a lot of ground with Scratch projects this month including using backdrops to add new levels to your game, using variables for making timers and switching sprite costumes for cool and colourful effects. A big thank you to all of the learners and mentors who made it out to the event this month. We were very excited to get back into programming in 2018 with some new CSS resources for styling web pages.